No matter if it’s glossy, matte, bright, or dark, red lipstick is one of the most classic, timeless look out there. It can take a look from dull to electric, with just a dash of quick color. However, not every one is the same. There are huge array of shades, with some being rare and coveted. Not only that, but not every one will have the finish you’re looking for, or the wear time. What you need, is one of the best red lipsticks out there, and we have them all! Now that you’ve taken a quick look at the overviews of each of the best red lipsticks, you’re probably interested in learning more about each one. Keep scrolling down, where you’ll find in-depth, unbiased reviews of each one! 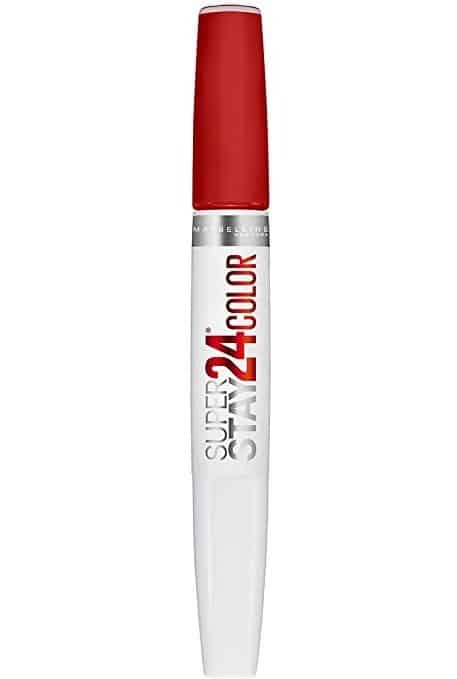 The Maybelline Super Stay 24 Color is one of our personal favorites, due to the ease of use, the beautiful color, and the affordable price. 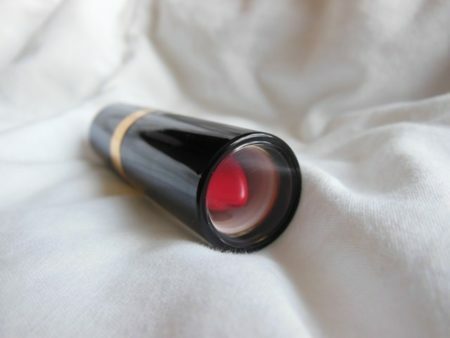 Coming in a see-through plastic outer case, once you open it up, you’ll find that the stick features 2 separate compartments: one side holds a balm, and the other half has the actual liquid lipstick with the wand included, for application. The duo is definitely interesting, as most of the lipsticks we tried don’t come with any sort of “extra”, such as the balm in this case. It’s super smooth and easy. You only need a couple swipes, and it will quickly cover the entirety of the lips with rich color. Dry time isn’t necessarily quick in comparison with some others we’d tried, but after a couple minutes, it’ll begin to dry and feature a matte finish. However, it is a bit sticky during this process. That’s what the balm is for. Directly after you can make sure it’s dry, immediately apply the balm over the color. This will make it more smooth, soft, and comfortable so it’s not sticky or splotchy. Does it stay on well? Surprisingly, yes. The color is actually 100% smudge-proof and non-transferable, so if you’re looking for something to stay on securely all day, then this could be an excellent option for you. This is one of the biggest reasons why it is, in our opinion, the best red lipstick drugstores have to offer. However, the wear time itself, isn’t exactly impressive. After just a couple hours, it will begin to wear off in the center of the lips. Even among the best red lipsticks, it’s not really guaranteed that the best shades will look how you want it to. While the chance of you not finding one on our guide is slim, you can ease your worries with this next one: the Fenty Beauty Lip Paint. 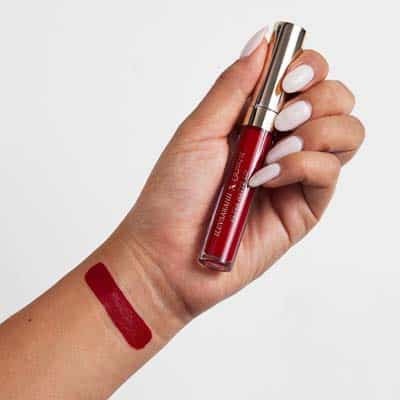 While this technically is a “lip paint”, it’s one of the most amazing matte lip shades out there today, and we’d be silly not to include it in the top. On top of that, it’s a universal shade. That’s right – it looks amazing on everyone who slides it on. If you want to truly look like a “Stunna”, this one holds up to its name. Fenty Beauty is a Rihanna creation known for creating beauty products that are of the highest quality, are unique, and are cruelty-free. What’s not to love? It may sound too good to be true, but it is. 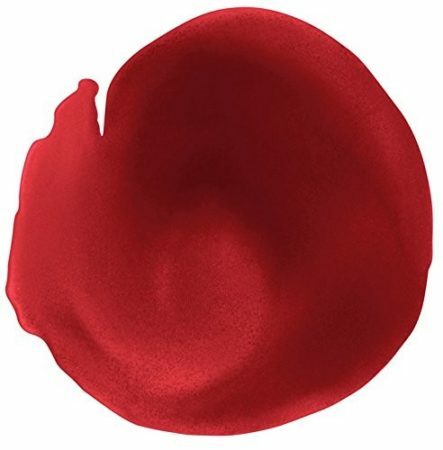 The shade is a “true red” or universal red, meaning that it’s neither too cool nor too warm, making it attractive on just about every skin tone out there. The shade was hand-picked by Rihanna, and tested exhaustively on hundreds of people out there. 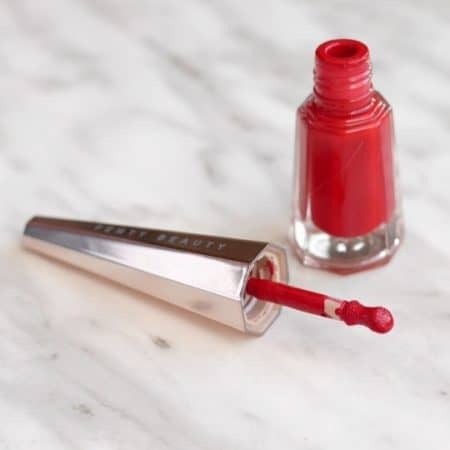 If you aren’t a fan of the traditional lipsticks or find them a bit too difficult or tedious in applying, then you’ll enjoy the fact that this one is actually a lip paint. With just a single stroke of the lip-defining precision wand, you only need a few seconds to take things from tepid to smoking hot. How long does it stay on for? This is another question proposed by many, with not only lip paint, but lip color, in general. This best lipstick shade will hold you over for a whopping 12 hours, and is so lightweight, that you’ll forget you even have it on. In addition, it won’t crack or develop a weird texture after a while. It stays soft and smooth, so you’re looking your best all day long. As you’re reading this now, we know you probably already love red lipsticks, or are at least interested in broadening your horizons. There are plenty of red shades that we aren’t fans of, but we have to say this shade truly impressed us with how well it fit every single person who wore it. Why not choose a color that works with your look every day, every mood, and every shade of skin? Sure, taking risks can be fun, but spending money on a lip color shouldn’t be included in one of them. Very lightweight and creamy, with a smooth, soft texture. It actually feels nice going on; not sticky nor dry like so many other lip paints do. It’s comfortable to wear, applies evenly and easily, and blends just as easily. We also loved that it didn’t sink into and cake into all of the little lines and indents in our lips, giving an even, soft matte finish. The applicator is a unique little hoof, which is very soft, applies the product well (no huge drips), and is excellent in terms of precision. It easily moves around all the curves and lines of your lips. We didn’t get a full 12 hours of perfect application, we did get over 10. After that, it did start to fade and feather out on the edges, but 10 hours is still pretty impressive. The color did look amazing, no matter the skin tone. 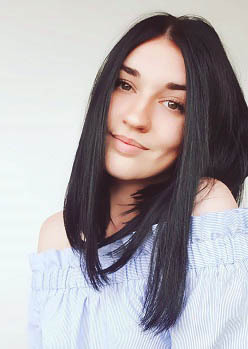 We can see it easily becoming a regular with our makeup looks, and works well for a work day, just as well as a nice dinner, or a night out in the clubs. If you’ve been on social media at all in the past few years, you’ve undoubtedly heard the praises of Colourpop. While we’re not one to just follow the word of the people, we decided to try it out for ourselves. Among all of them, the favorite for us was by far the Ultra Matte. 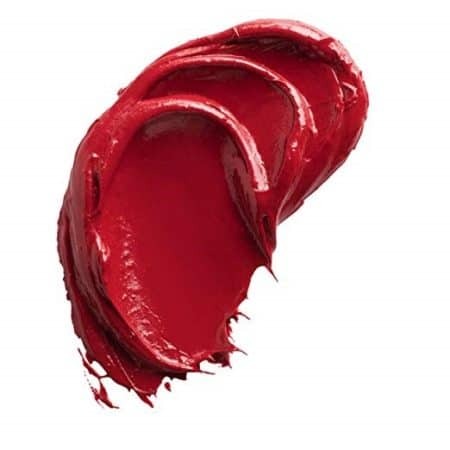 It’s had a huge influence on the current cultural obsession with a good lipstick, and the red shade is utterly gorgeous. Not only will it transform your lips in just a few seconds, it also features excellent color payoff, while being perfect for those with sensitive skin due to their gentle formula. What’s more, is that all of this is available for a surprisingly affordable price. In fact, we’d tried out other red matte lipsticks that were much more expensive and they just couldn’t compare to the Colourpop. Just everything about it really surprised us – in the best ways. The thin, lightweight formula is easy to wear and glides on smoothly onto the lips. It’s comfortable, and honestly, you’ll probably forget you even have it on after a couple hours. The look is one of the most intense pigmentations we’ve come across, and despite all that, it doesn’t transfer or come off at all. 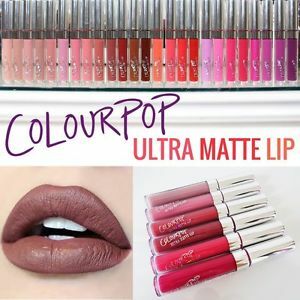 If you need one of the best long lasting matte lipsticks or just don’t have time to keep touching it up throughout the day, then you cannot pass this one up. 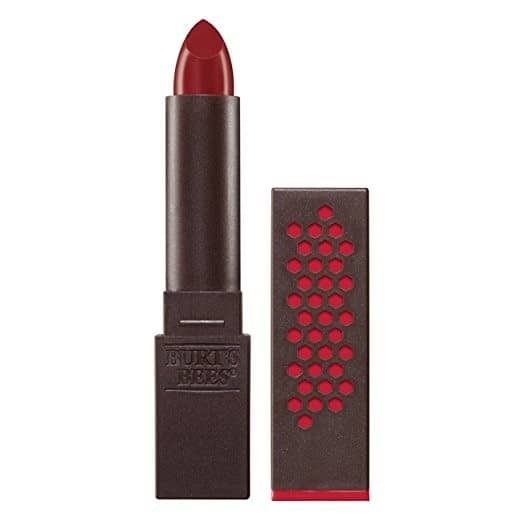 If you’re having trouble finding one of the best matte red lipsticks due to the color payoff or finding one high quality enough on a budget, then really do yourself a favor and consider this one. While there are a whopping 33 shades available, it was tempting to try all of them, but as we’re here to attest to all of the best red lipsticks, we won’t stray. With just one swipe, we experienced intense, highly-pigmented, opaque shots of color. Keep in mind, that this one is a liquid lipstick. Some love them and some don’t, but that’s neither here nor there. We found it super easy to apply, and easy to “stay within the lines”, so to speak. It wasn’t messy and even if you do somehow get some outside of your target, it doesn’t stain the skin very much. This is definitely one of the driest lipsticks we’ve ever tried. With that being said, if you already have dry lips, or generally prefer more “moisturizing” lipsticks, then you’re honestly probably not going to like these. However, on the upside, they provide very matte looks. They’re super weightless and give an almost powdery look/feel. In addition, if you really want to try them but are scared they’ll be too drying, you can always add in their Lippie Primer underneath, or a simple gloss afterward. Due to the fact that they are so thin and lightweight, they also dry super fast, so you must apply it quickly. Try to get an even application in one shot, rather than layering. If you really want to keep budget down and want a liquid lipstick, this is the best one, in our opinion. It’s surprisingly affordable, considering how impressive the formula and results are. In addition, the packaging is very solid and feels almost high-end. It doesn’t feel cheap or like it’s going to break. The doe foot applicator, however, is a bit stiff. It’s not a deal-breaker, but a detail to keep in mind. Their products are vegan, and cruelty-free. This makes the products open to a much wider audience. Plus, who doesn’t love products who keep morals in mind? 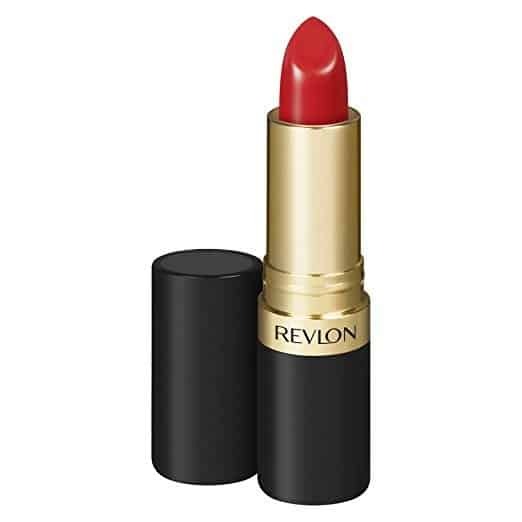 Let’s be real – there are a great amount of beautiful red lipsticks from Amazon, but not all of them look as great at such a low price, as the Revlon Super Lustrous Lipstick. Along with the last product, it’s another great option if you’re hunting for one of the best red lipsticks drugstores carry. One of the world’s most popular lipsticks, the first time you try it, you’ll easily see why. The lipstick is formulated with microfine pigments, providing you with high-impact, opaque looks that will really stand out in a crowd. It’s made to be super soft and smooth, so that you don’t have to deal with any drying like you may see from some other lipsticks out there. In fact, if you already have dry lips, you’ll really benefit from the fact that this best lipstick color is made to moisturize lips. Packed with pigment but light on weight, you’ll have an airy, creamy matte lipstick to give you comfort, moisture, and of course, stunning colors. Just because it’s a red lipstick, doesn’t mean that you only have one look to choose from. Nope – Revlon has come out with four stunning finishes for you to select between (or get all four! ): crème, matte, pearl, and sheer. While matte is definitely trending right now, we honestly loved each one of them. Pearl features just enough pearliness that it looks sophisticated with some old-world charm. Crème is a classic; it’s easy, it’s normal, and it’s soft and ultra comfortable. Sheer is a bit more dramatic, and gives a hot, high-fashion look without being over-the-top. If you’re on a budget, or simply just don’t want to risk spending a lot of money on a product you haven’t tried before, then we can honestly say that this should be an option to consider. So, how does it feel on? The consistency is thin, slick, smooth, and creamy. It doesn’t get sticky during application or feel tacky at all. Application is very smooth and quick, and almost feels like a soft butter, given how easily it glides over the surface of lips. Even if you have dry lips, you’ll love how smooth and creamy this best lipstick shade lasts and covers up any cracks or dry patches. It doesn’t get stuck in crevices and make dryness even more noticeable. What really impressed us was the level of pigmentation. 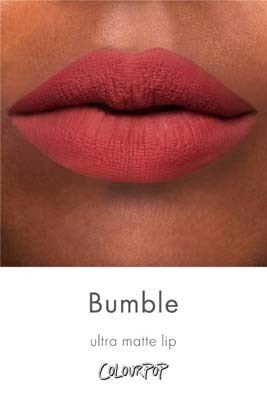 When you look at other lipsticks in this price range, it’s quite a feat to find one that has as good of color payoff as this one does. While it wasn’t the shortest-lasting, it wasn’t the longest, either. In our experience, it stayed put and was looking great for a good five hours before we started to see some feathering and fading out. However, as it did fade, it still looked good. It left a slightly lighter “stained” effect, which still looked put-together. Really, just the taste. While we weren’t purposefully trying to taste it, we did notice that it tasted bitter for the first hour or so. While we have thoroughly enjoyed trying out some of the best red lipsticks for fair skin, olive skin, and darker skin, not all of them were very eco-friendly. Many vegans, vegetarians, and those who just outright care about the products they’re using, are limited in their options. However, that’s where Burt’s Bees Natural Moisturizing Lipstick comes in. First of all, it’s 100% natural. That’s right – it’s formulated without petrolatum or parabens, and instead, features natural ingredients, such as Red Raspberry Oil, Moringa Oil, Beeswax, and Vitamin E. They all have their individual functions, but work together to help nourish and moisturize lips. In fact, it’s so good at moisturizing that you’ll experience up to 8 hours of conditioning moisture! Regardless if you have dry lips or not, you’ll love how this red lipstick makes your lips feel! Then you’ll also love the fact that it’s perfect for those who are more prone to adverse reactions or irritation. Due to it being all-natural, it also doesn’t contain phthalates, SLS, or synthetic fragrances. Despite this, the lipstick actually smells really good, naturally. Honestly, this lipstick is probably the most comfortable, luxurious-feeling red lipstick we’ve tried. It glides on the lips with a thicker, balmy consistency, however, is still very creamy and rich. Rather than your traditional lipstick that can tend to dry lips out, this is more of a thick, pigmented lip balm. It’s pretty rich in color, and applies smooth without getting into the creases or migrating/smearing after a few hours of wear. In fact, it lasted for around 6 hours without having to touch it up. While this definitely isn’t the longest amount of time, it’s definitely a good chunk. So, which shade did we love? Our absolute favorite was Scarlet Soaked, however, there are a few others that really caught our eye, as well: Crimson Coast, Ruby Ripple, and Russet River. They’re varying shades of red, but the Scarlet was more of a traditional, classy, seductive red. Was there anything we didn’t like? Really, the only thing not likable was the packaging. For us, the lipstick is so soft and creamy, that it’s relatively easy to break. The tube is just poorly designed, but it seems like it could be an easy fix in the future. The issue we had, was that the tube swivels down almost entirely, but still leaves a bit of the tip visible, which means that if you’re not careful putting the lid back on, you can easily take a chunk out of the lipstick. Now that you’ve had the chance to take a good, in-depth look at each of the best red lipsticks, have you decided which one was the best one for you? If you haven’t, that’s okay! Allow us to recommend once again, our editor’s pick: the Colourpop Ultra Matte Lipstick. First of all, it’s extremely affordable. If you’re looking for one of the best on a budget, then definitely consider throwing this one into your shopping cart. For how affordable it is, the level of quality is impressively high. The wear time is high, and perfect if you don’t have time to keep retouching throughout the day. The color payoff is excellent, providing rich, smooth color for hours. It’s also very moisturizing and nourishing, so your lips actually look better after using it. Really, we loved the Colourpop, and can’t recommend it enough! So, which one of the best red lipsticks will be making its way into your makeup arsenal?